Creative input was sought from the craftsmen themselves, who worked together with designers in the shops and studios that were built for them on the site. Glencairn, above all a home, was also designed to house Pitcairn’s outstanding collection of medieval objects, which were purchased as inspirational models for the artists who worked on the Cathedral. 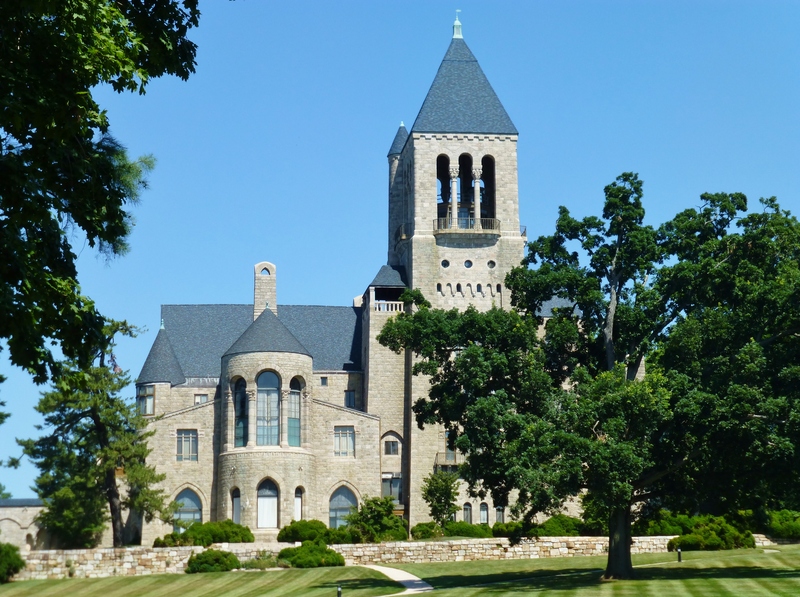 On today’s installment of Kristine Robinson’s Interiors, I’d like to share my photographs of the imposing Glencairn Mansion, which is part of the National Historic District created in Bryn Athyn, Pennsylvania on October 6th, 2008. 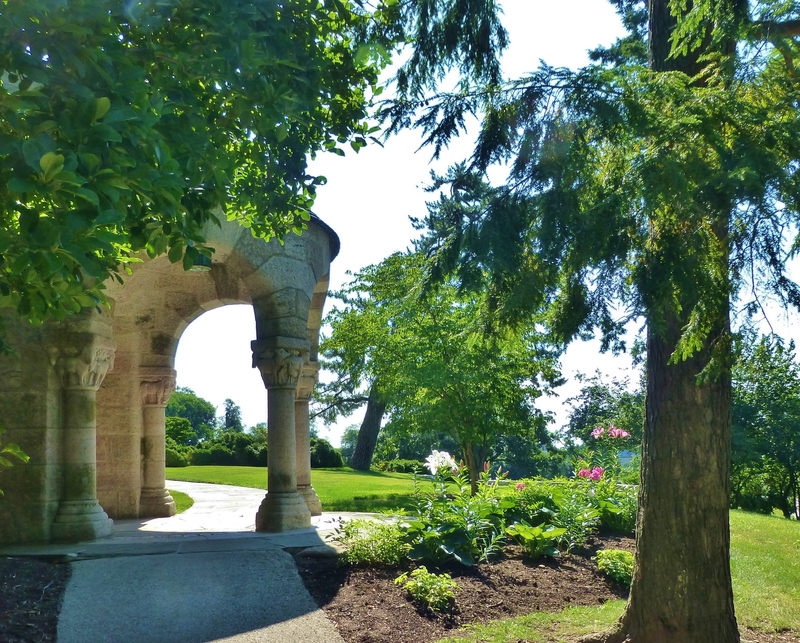 I recently spent a lovely July Morning, strolling throughout the grounds of three magnificent historic sites (the Bryn Athyn Cathedral, the Glencairn mansion, and the Cairnwood mansion). Historic sites such as these are a constant source of inspiration for my work as an interior designer and the opportunity to visit such architectural treasures brings me great joy! 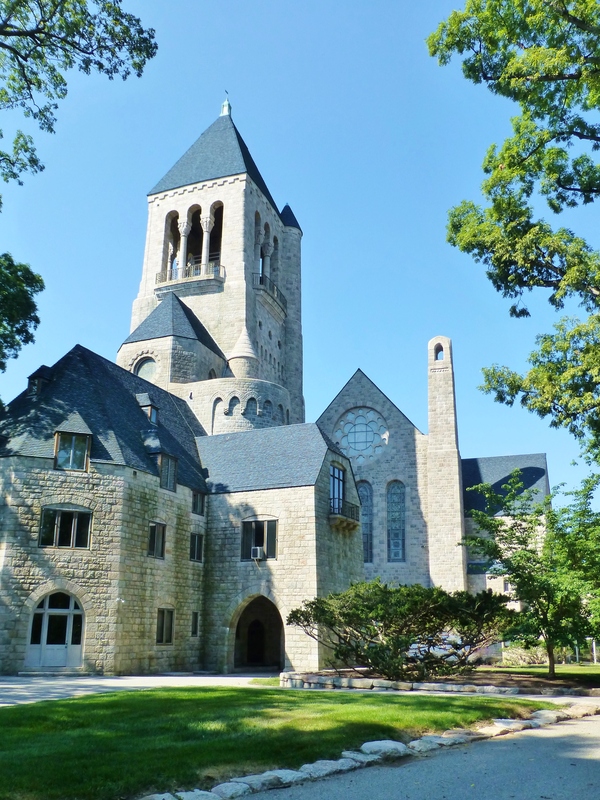 Glencairn was built between 1928 and 1939. It was once the home of Raymond and Mildred (Glenn) Pitcairn and their children. Today the mansion serves as a museum of religious art and history. 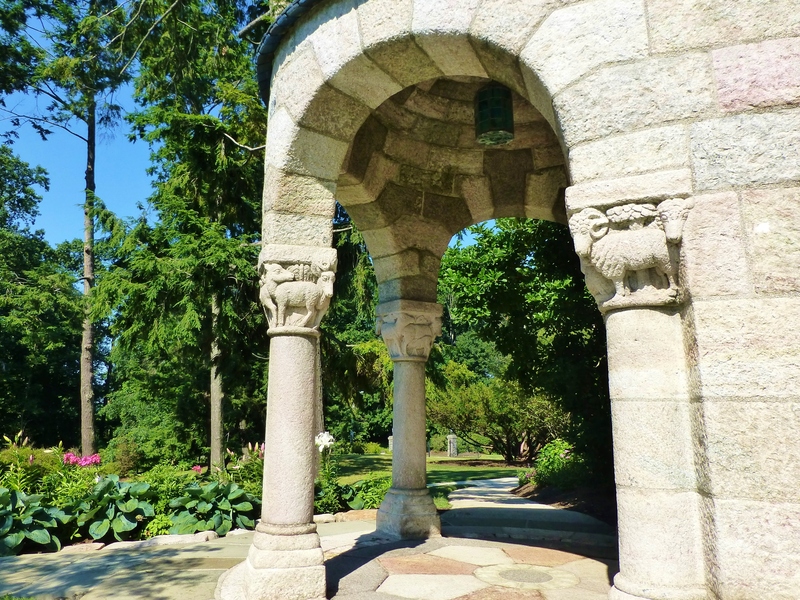 Glencairn Museum educates visitors about the history of religion, using art and artifacts from a variety of cultures and time periods–most of which were collected throughout the lifetime of John and his son, Raymond Pitcairn. Religious life through the ages is presented by means of a remarkable collection illustrating religions as varied as ancient Egyptian, ancient Greek and Roman, medieval Christian, Islamic, Asian, and American Indian. Various cultural events are also held in the great hall of Glencairn (the acoustics are fabulous for musical performances!). This is the view of Glencairn seen from the driveway. The impressive tower looms above the structure. Views from the top are outstanding! This photograph shows a detail of the ornamental stone-work on the mansion. Construction was completed by the same craftspeople that built the Cathedral. A beautiful terrace pavilion is located at one corner of the stone mansion. 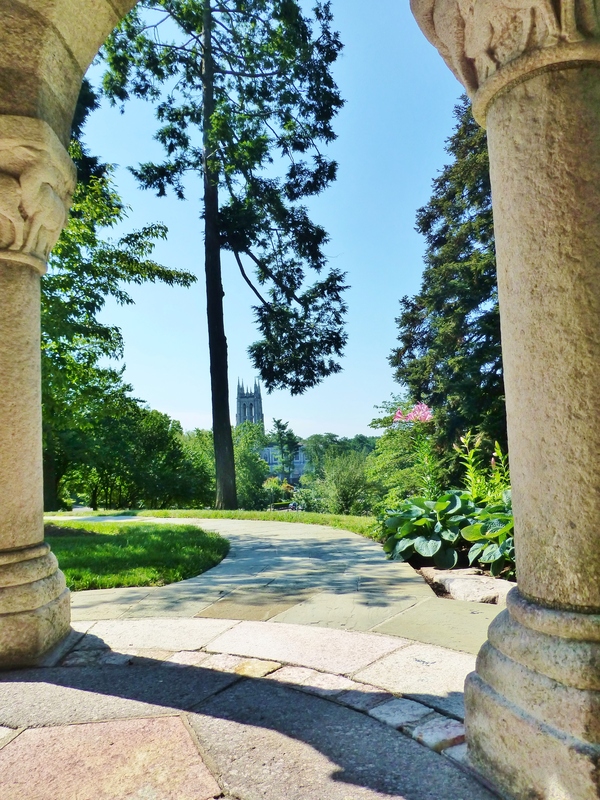 It features beautiful plantings and an amazing view of the Cathedral below. This is one of my favorite spots at Glencairn. The view of the Cathedral down the hill from Glencairn. 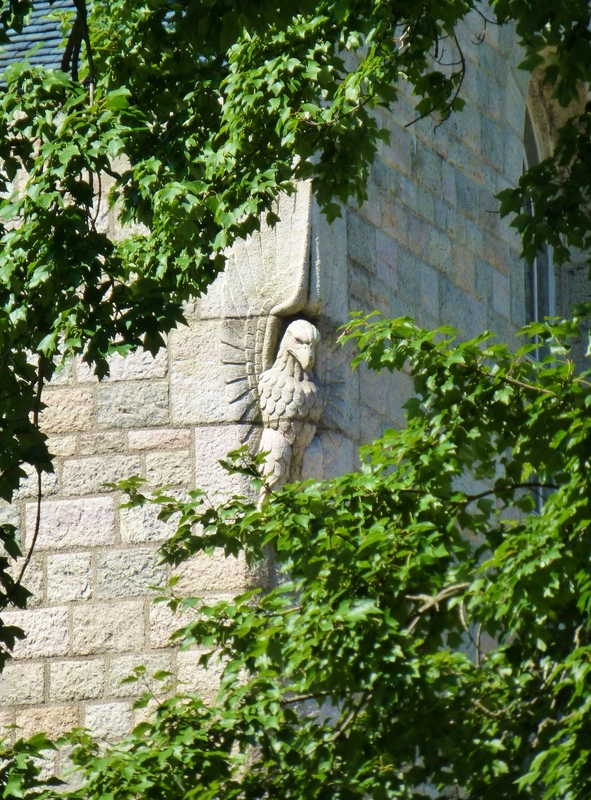 A detail of the beautiful stone-work at Glencairn. Notice the carved rams and sheep atop the columns and the arched ceiling inside. The floor has beautiful stone-work as well. 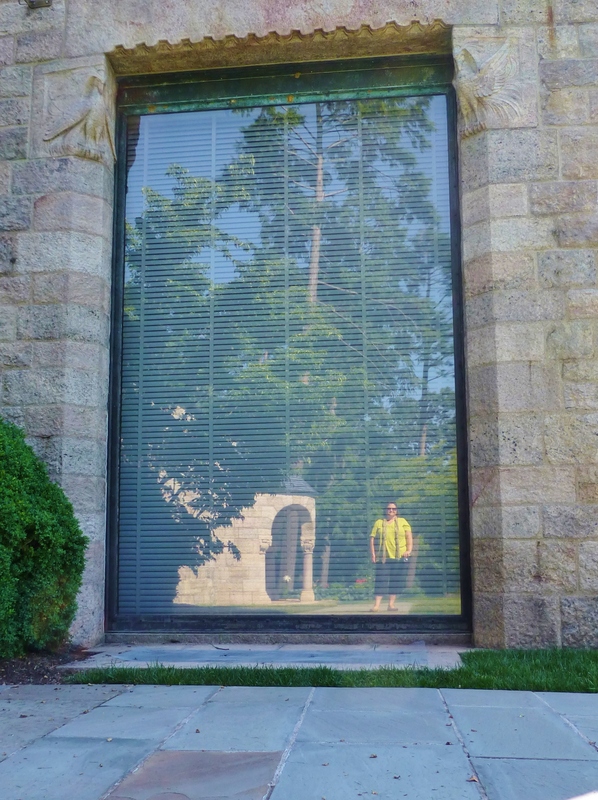 A ‘selfie’ I took of my reflection in one of the massive first story windows at Glencairn. Notice the stone relief carvings of birds at the top corners of the window and another view of the beautiful pavilion reflected behind me. 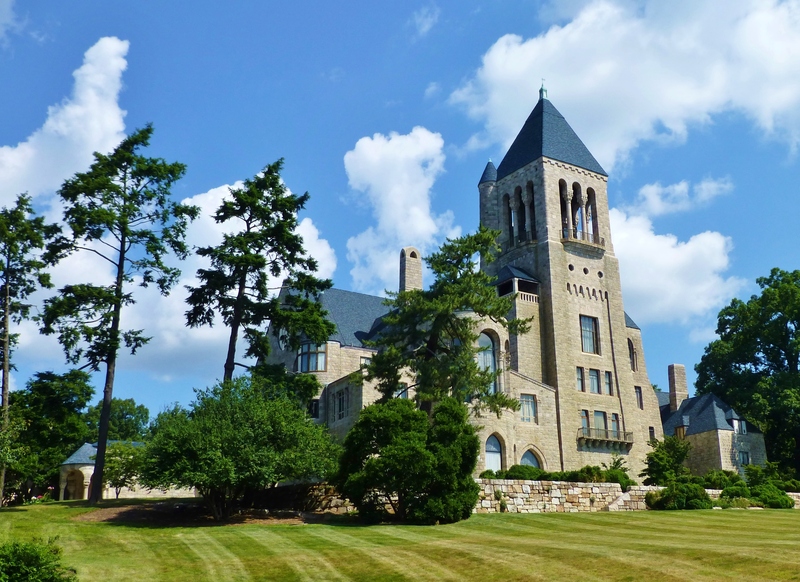 A final look at the picturesque ‘Castle’ called Glencairn. I hope to share some interior photographs soon. Until then, I hope you’ll take the time to leave me some feedback in the comments section…I love to hear from you! And please tell everyone you know about Kristine Robinson’s Blog–I need all the friends I can get! 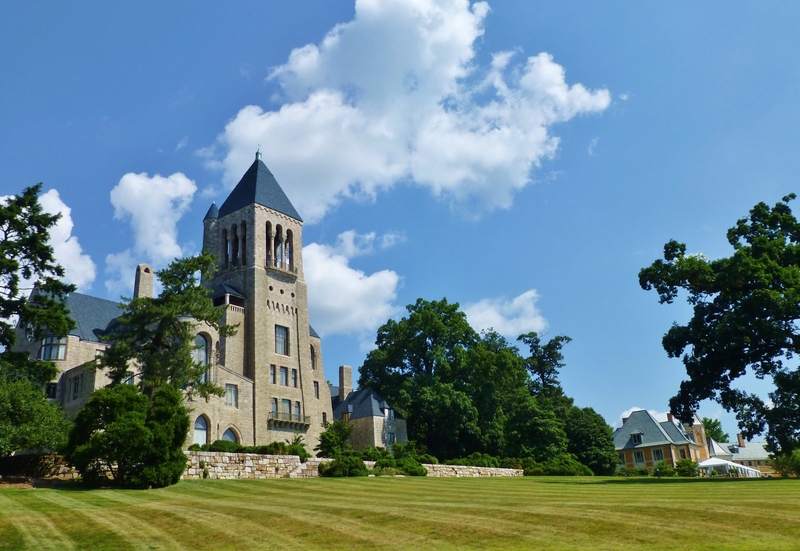 This entry was posted in Architecture, Bryn Athyn, Gardens, Historic Sites, Pennsylvania and tagged Castle, Glencairn, Landscape, Mansion, Medeival, National Historic Site, Pavilion, Pitcairn, Robinson interiors, Stone, Terrace, Tower. Bookmark the permalink.